Gender is closely entwinned with poverty, inequality, labor, social, and food insecurity. There remains significantly fewer employment opportunities in Indonesia for women, and women still receive a lower wage than men when completing similar work. In addition, gender inequality is driven by social and cultural factors which increase inequality of access to economic resources. 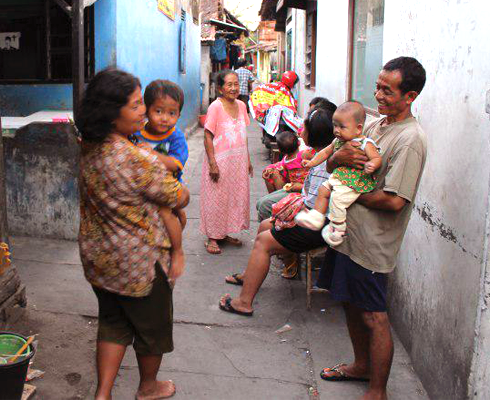 Gender has not yet been effectively integrated into either policy or programs in Indonesia. SMERU aims to incorporate gender into all of its research projects. Some research projects, such as the Access to Services and Livelihoods of Poor Women study and our research on unpaid care work, focus specifically on gender issues. Others, such as our work on food security and nutrition, ensure that the impact of the issue on gender relations is not overlooked.